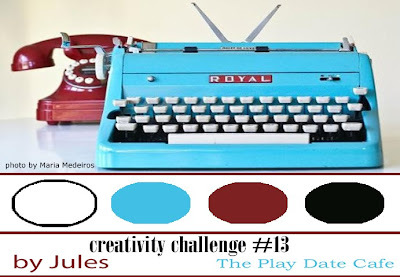 When I saw the inspiration photo for this week's Play Date Cafe Challenge, I just had to play along. I learned to type (badly) on a typewriter just like this! Thankfully, my typing skills have improved a lot since then. I love these colors. 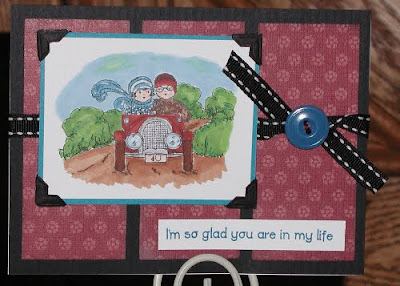 They are perfect for a vintage-style, masculine Valentine for my hubby, I think. What do you think? Thanks for stopping by today! Hope you all have a wonderful weekend ahead! wow, this is fabulous...cute story about the typewriter...have a wonderful day!